Many people may have heard that the Nepali government is confiscating relief funds. Our efforts are unaffected because we can use already existing funds in our Nepali bank account to continue to provide help and relief. Donated funds will be wired to Nepal after this government situation is resolved. 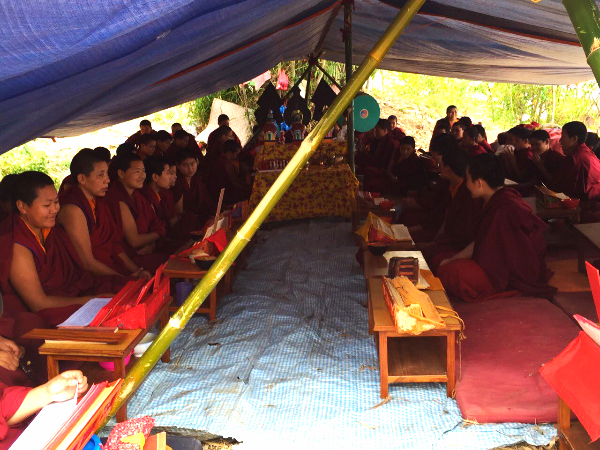 > Tsoknyi Rinpoche is concentrating on helping the villages around our nunneries, and the rural mountain villages of the Nubri region. The government is concentrating aid on the city of Kathmandu and help is desperately needed in the rural areas. 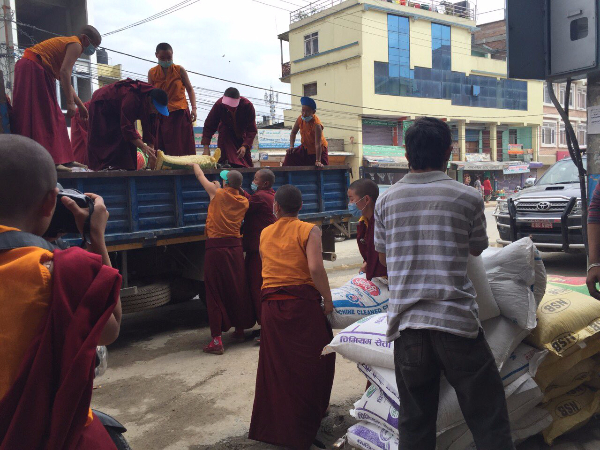 > Tsoknyi Rinpoche has joined forces with the monks of Osel Ling and Phakchok Rinpoche's organization to provide relief to the Nubri region. We are all trying to find transportation to deliver tents and supplies to Nubri. >Tsoknyi Rinpoche is particularly concerned about a nunnery high in the mountains on the Nepal-Tibet border, comprised of 300 nuns. The entire nunnery was destroyed. Every building crumbled. We are trying to figure out a way to get help to them. >The nuns of Tsoknyi Gechak Ling have been helping to distribute food and tetanus shots in addition to helping to dig out the village of Chobar. 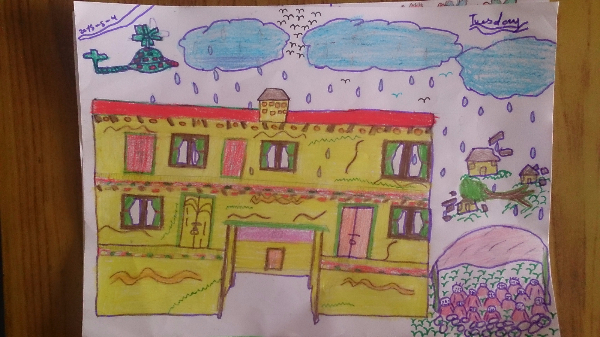 > Our immediate emergency relief continues as we transition to rebuilding. 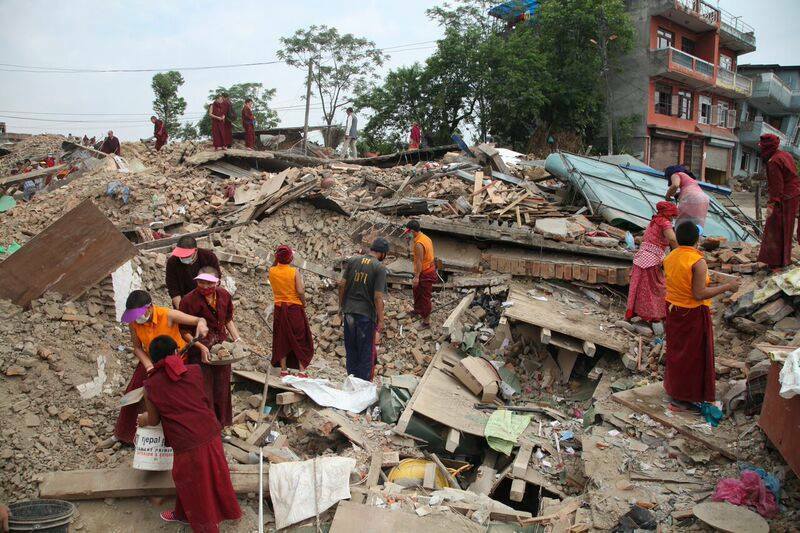 > Tsoknyi Rinpoche says, "Our goal is to rebuild lives now." >When the crisis has been stabilized, we will look toward repairing the damage at our own nunneries. Our structural engineer has not yet verified the integrity of our new buildings, but by visual inspection they appear to have survived the earthquake in good condition. We can all be happy that Tsoknyi Rinpoche chose to build high quality buildings that will continue to provide shelter and safety. and daily puja in the outside shelter they constructed. The little nuns are back in class and adjusting to the aftermath of the disaster.